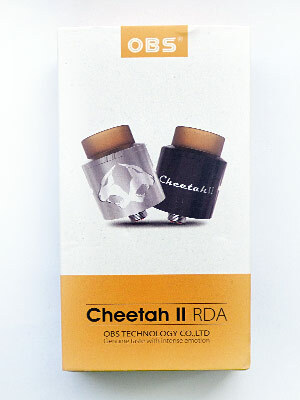 It wasn’t so long ago that we reviewed the Cheetah RDA which was a decent 22mm budget RDA, but now Chinese manufacturer OBS have released the Cheetah II. Unlike the original Cheetah, the version II is 24mm in diameter, has a completely redesigned deck and features traditional side airflow instead of top airflow. The question is are these changes an improvement? Let’s find out! Central Split-Post Design Featuring Post Hole and Clamp System. Available Colours: Stainless Steel, Black, Gold. Blue. 1x OBS Cheetah II RDA. The Cheetah II is 24mm in diameter and constructed entirely from 304 Stainless Steel. There is also a Gold version available including a Gold-plated deck. I thought the overall finish of the Stainless Steel version received for review was extremely good and there were no sharp edges or defects. The top cap is certainly thinner compared to some RDA’s which I own but it feels durable. The top cap is secured by two O-rings and if you don’t lubricate these well the cap can be something of a pain to get off, especially when you first receive it. There are two logos on this RDA and while very obvious they are nicely done. On one side you have the name “Cheetah” and on the other side there is a nicely engraved pair of mirrored Cheetah heads. At the upper most part of the top cap there is knurling so you can easily adjust the airflow when needed. The airflow consists of two 10mm wide Cyclops style slots. 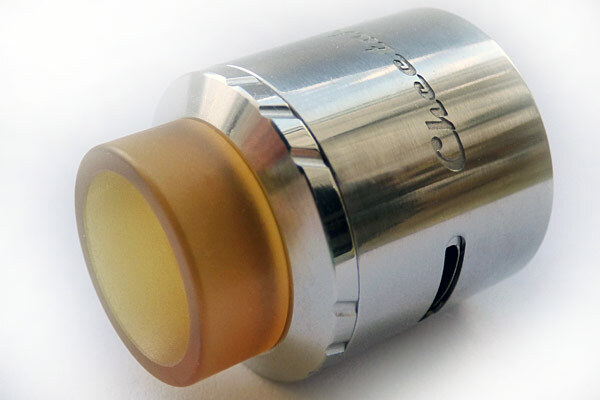 Included with the RDA is a pre-fitted 17mm wide bore drip tip constructed from PEI which is essentially a different type of Ultem which apparently stays slightly cooler. The only problem with this drip tip is that it does not use a standard 510 fitting and there is no 510 adapter included in the packaging. Regardless it feels very comfortable on the lips and definitely does the job minimising heat transfer. The deck is especially unique and features a hybrid style design. The split centre post arrange features a half clamp and half screw system and these are secured by the four screws at the top. What is nice is the increased build area which is now available due to this redesign. The well is approximately 5mm deep but is actually split with no way for the juice to flow through so you will need to fill up each side separately when dripping. 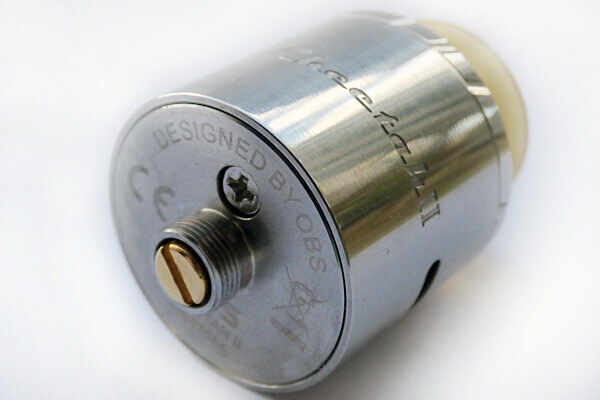 The airflow consists of two Cyclops’s style slots and is adjusted by turning the knurled section of the top cap. I had no problems at all with adjustment and the airflow has a nice amount of variety. You can either keep it fully opened up for a direct lung inhale style of vaping or dial it down to a restrictive lung inhale. Closing it down almost to nothing nearly gives you a very good mouth to lung vape but I suspect it might still feel a bit loose for some. 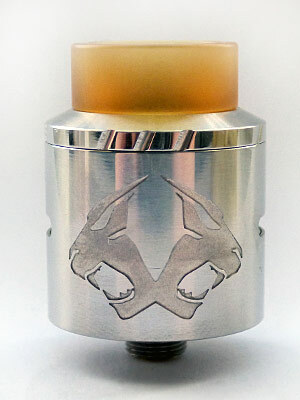 Building the Cheetah II RDA is very straightforward. The screws hold the wire securely but do require a little force to tighten down. 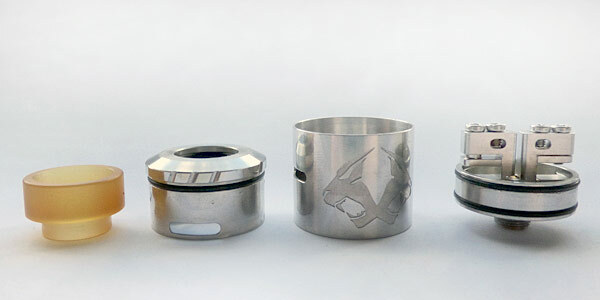 The hole and clamp design means you can certainly get thicker wire types in there if you wish and the overall build area is larger compared to the very restrictive Cheetah RDA. I decided against going down the typical Clapton route this time and went for a very simple dual 26gauge 3mm ID build which had a final Resistance of 0.5ohm. 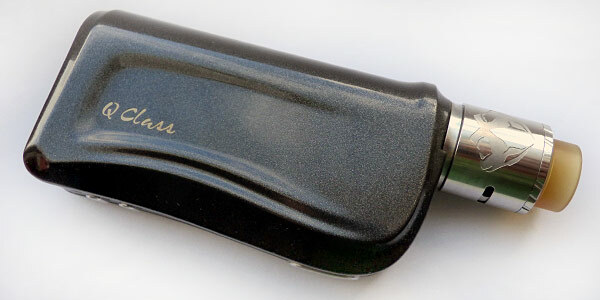 I primed the wicks and filled up the well with some Aqua E-Liquids Oasis which is a peach and papaya tropical flavour. I took my first vape at 40 Watts and noticed just how airy this RDA is. In some respects it’s a little too airy for my tastes but I’m sure it will delight the cloud chasing fans! I dialled the airflow down to half since I was already getting more than enough airflow from the wide bore drip tip. Nevertheless the Cheetah II airflow was very smooth and in some respects reminded me of both the CSMNT and the Goon RDA’s. Flavour was extremely good, the juice tasted seriously mouth-watering and delicious. Obviously you will get even better results if you choose to go for a Clapton setup or a more exotic build but even with a pretty standard build I don’t think you’ll be disappointed. Vapour production was also pretty impressive and if you’re chain vaping things will fog up fast! The top cap does tend to heat up quickly but thankfully the heat does not transfer to your lips due to the Ultem drip tip. What I did like a lot is the fact that the well holds a good amount of juice so I never felt like I was constantly refilling it. While the Cheetah II RDA has certainly undergone some revisions in comparison to the previous model I personally feel it is a significant improvement. The locking top cap on the original was a nice enough idea but not a very useful from a practical point of view because you always had to line it back up after removing it. The Cheetah II’s larger deck thanks to the 24mm diameter as opposed to the Cheetah’s 22mm and the new post configuration is also much better since it now allows for bigger builds and offers more space for wicking. I did actually like the top airflow of the Cheetah RDA but I think that the traditional side airflow offers better flavour which is certainly a noticeable step up in terms of quality. Cloud production and airflow has also skyrocketed compared to the original though you can dial the airflow back to your liking. There are only a few things which I am not especially keen on. Firstly I don’t like the split well design because it means you have to keep angling your juice bottle when dripping through the drip tip or instead take off the top cap for more precise results. 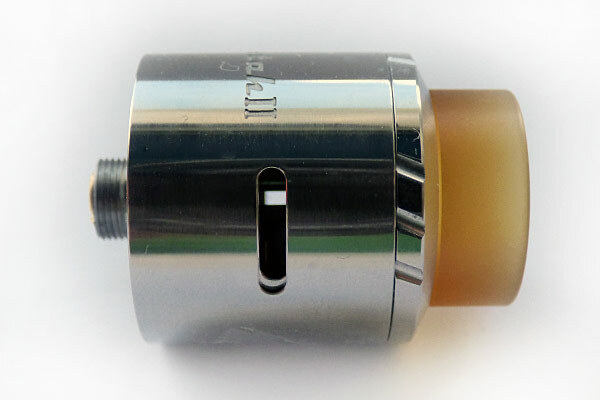 The second minor issue is the very thin top cap which can take some effort to remove sometimes and does tend to heat up significantly at high Wattage, fortunately the Ultem drip tip does alleviate things. Other problems will depend entirely on your own preferences such as no Squonk pin option, the fact that the drip tip isn’t a 510 fitting and does not include an adapter along with the RDA supporting dual coil builds only. However on the whole and considering the low price point this is very good RDA which offers great flavour and clouds. It is much better than the original in my opinion and well worth checking out! Also keep in mind that there is a 22mm mini version of the Cheetah II RDA available which I expect vapes the same but there will be far less deck space to play with.